value... how to manage key stakeholder relationships influencing corporate response to EHS and social equity issues... how to effectively manage sustainability throughout the business... how to evaluate sustainability posture and performance from the standpoint of external investors and internal management... how to maximize the influence of organizational actors focused on sustainability, and much more. 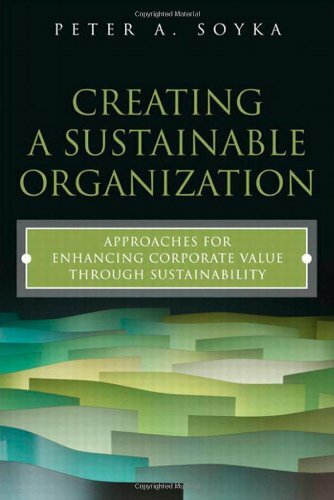 This book will be invaluable for all environmental, health, and safety decision-makers and professionals concerned with improving sustainability and value; for executives and strategists seeking long-term competitive advantage; for stock analysts evaluating potential investments; and for researchers and MBA candidates currently studying the techniques and potential of corporate sustainability. What Is Sustainability, and Why Is It Important to Business? Integrating Sustainability into the Company's "Organizational DNA"